Storage of goods in our warehouse located in Tijuana..
Our philosophy is “Always provide the best service, high safety standards, and be on time.” We believe that this philosophy will help us to be a leader company and keep our clients more than satisfied with the quality of our service. 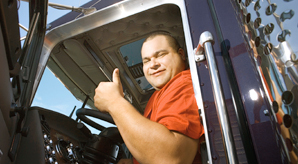 There is no doubt that Black Eagle Trucking is the best choice in the field of transportation. A partnership with us means all your expectations will be met. We have many years of experience in transportation, which will help us build a strong bond with all our clients.